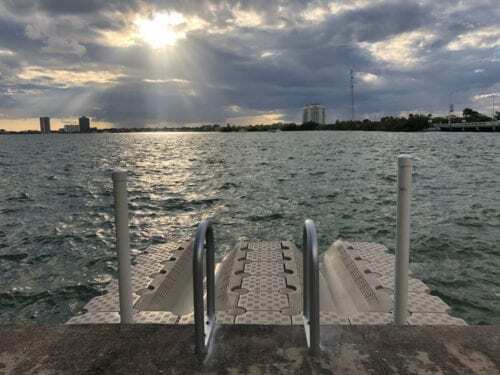 Candock is the #1 Bestselling Floating dock in Florida! Our bestseller! Completely secured and anchored with pilings! 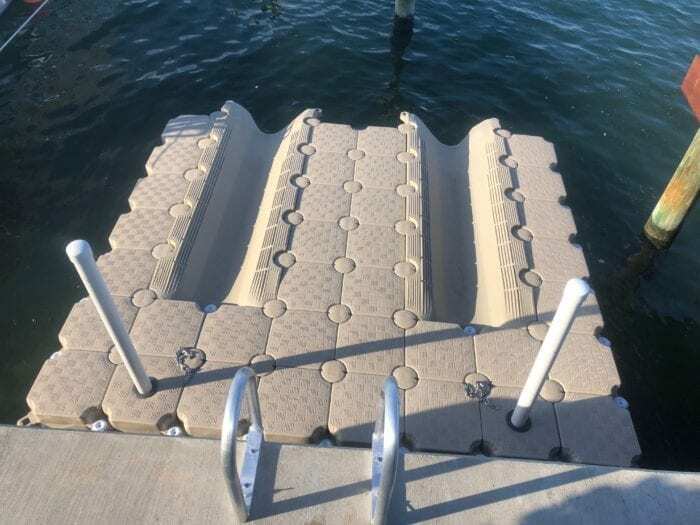 The Candock modular floating dock system is the most reliable drive-on floating dock ever! – REMAINS AFLOAT: The Jetslide is made of new-generation plastic, which makes it more efficient. Thanks to its foam-filled interior, it will remain afloat, even under the worst conditions! – EASY ON AND OFF: A quick push or acceleration and you are on/off your dock! Jet slide is only 1 piece so the PWC doesn’t stick on any part! – MAINTENANCE-FREE (100% PLASTIC): no rusty rollers, holes accumulating water, rusty metal parts! – UNLIMITED NUMBER OF CONFIGURATIONS: Getting a bigger boat? Just add a few more cubes! – EASY AND QUICK ASSEMBLY: we send you the tools, just follow easy instructions! 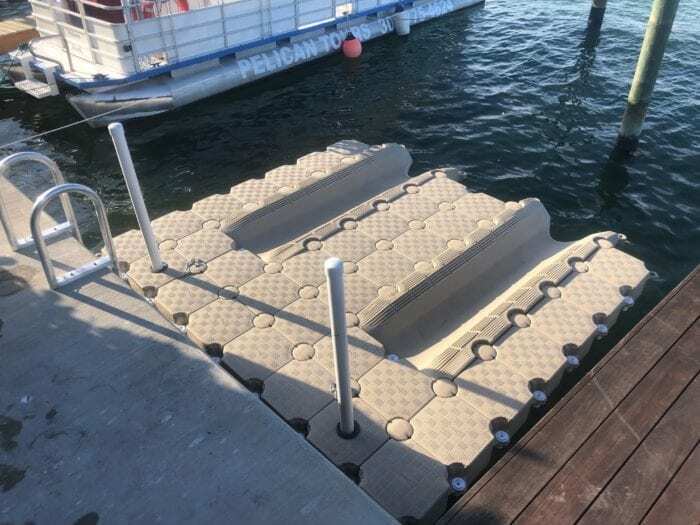 A Deluxe Floating dock for 2 jet skis with 2 rows of cubes in between the Jetslides! 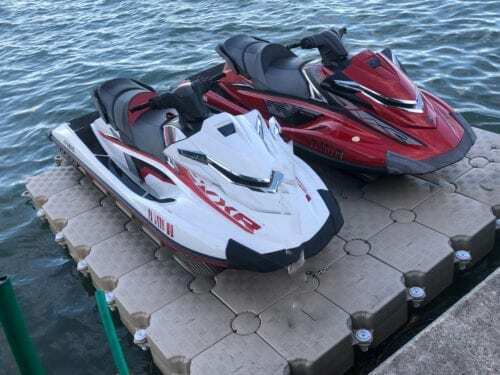 This system is only compatible with 2 Jet skis. The water depth for the pilings must be 3 to 8 feet deep (including tides) and the waves must be no more than 2 feet. 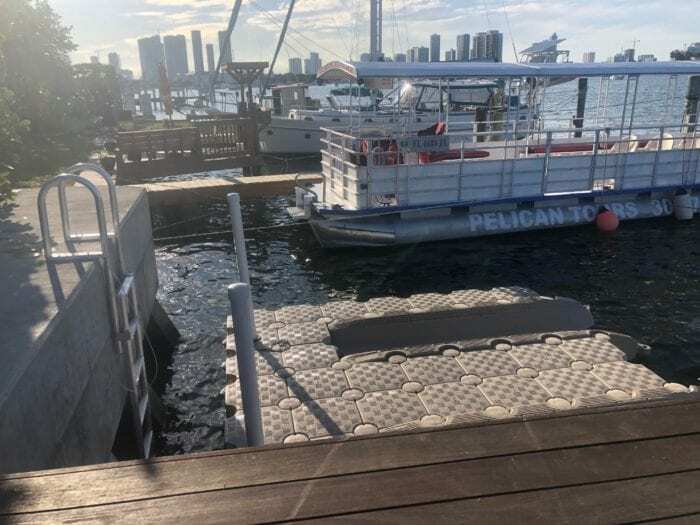 Some local authorities might require permits for floating docks. It is your responsibility to check with your local authorities if permits are required.